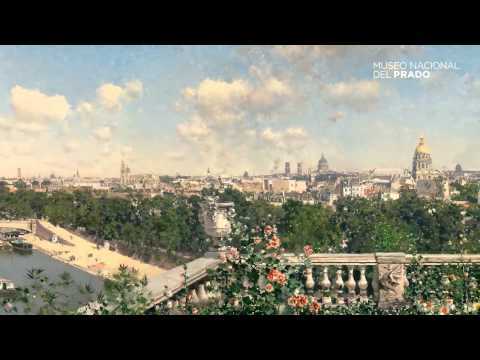 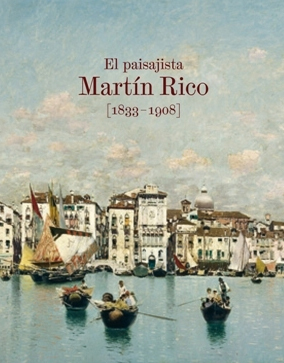 The landscape painter Martín Rico (1833-1908) present all the different phases within the career of this Madrid-born artist, from his early landscapes of the Sierra of Madrid to his compositions painted in Venice and Paris. 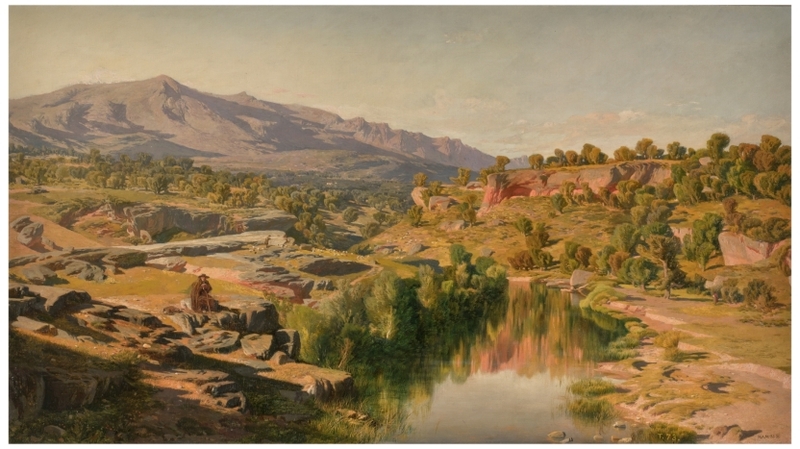 This section explores the painters’ early artistic activities dedicated to the production of watercolours –as shown by the Escorial, Segovia and Avila Album from the holdings of the Museo Nacional del Prado– and oil paintings –represented by views of Covadonga, the Guadarrama Mountains surrounding Madrid as well as of Azañón (Alcarria region). 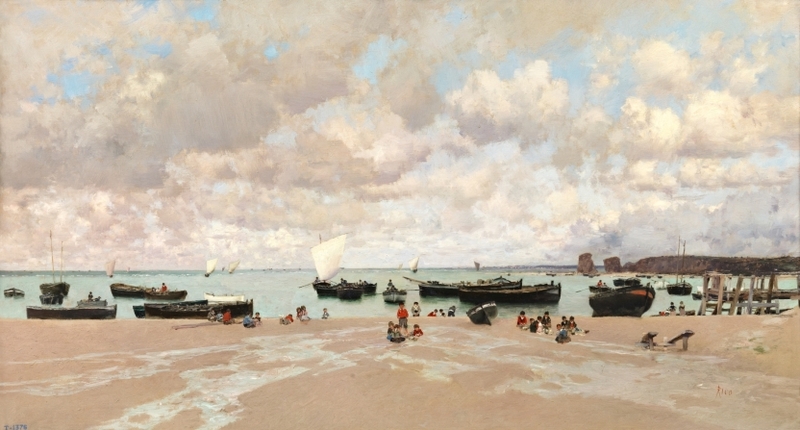 These works mark the beginnings of the artist’s transition from Romanticism towards Realism. 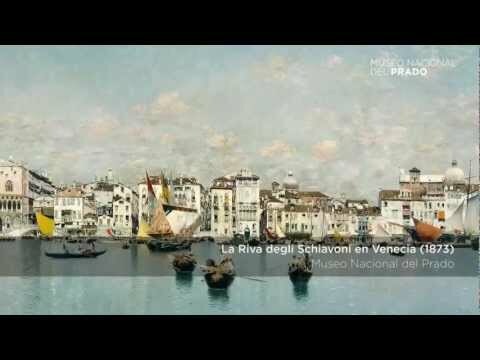 The works Rico produced during his stay in Switzerland where he formed part of the circle of Alexander Calame, and subsequently during his sojourns along the riversides of the Seine, Oise and Marne, reveal his fully developed realistic style. Especially his landscapes painted in France reveal a close affiliation to the work of Charles-François Daubigny. 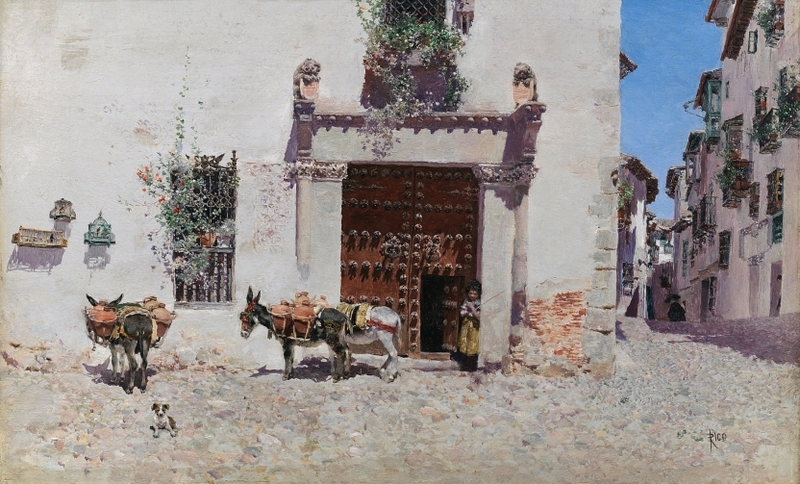 During the artist’s stay in Granada, where he established a close relationship to Fortuny, his painting entered into a phase marked by a high degree of luminosity and freshness of colour. 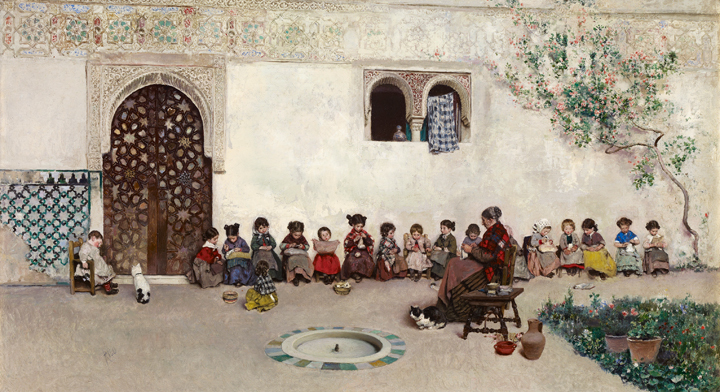 The works produced at this stage illustrate Rico’s emancipation from Realism, particularly his views of mentioned towns. 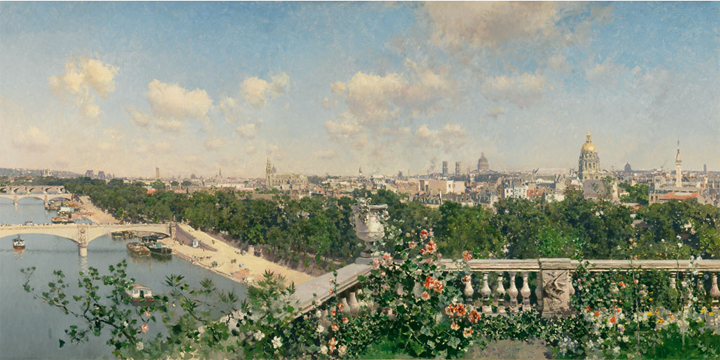 During his mature phase, Rico combines this luminosity with elements of the Spanish preciocismo style, which becomes apparent in his views of Madrid, Toledo, Paris, Chartres and Beaulieu. 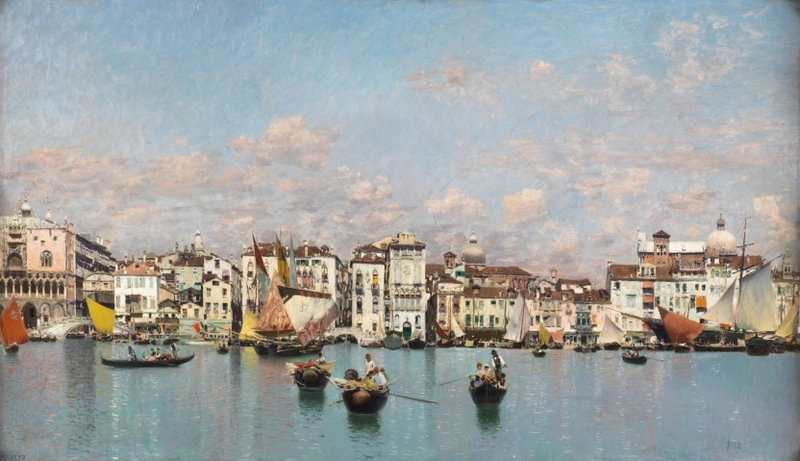 From 1873 onwards, the artist’s discovery of Venice contributed to bring to perfection his definite artistic style, in which he achieves a perfect balance between the softness of his painterly execution, the fine rendering of light and the chromatic qualities. 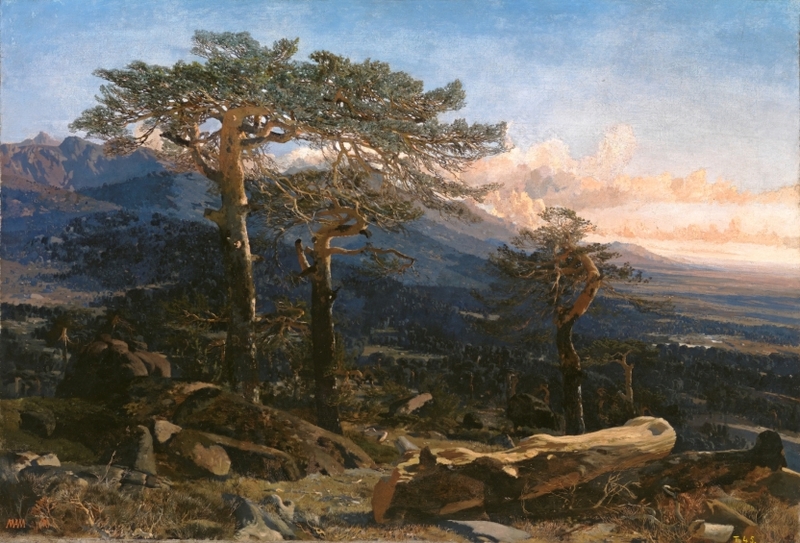 Due to the activity of international art merchants such as Goupil and Knoedler, his works entered some of the best Northern American collections. 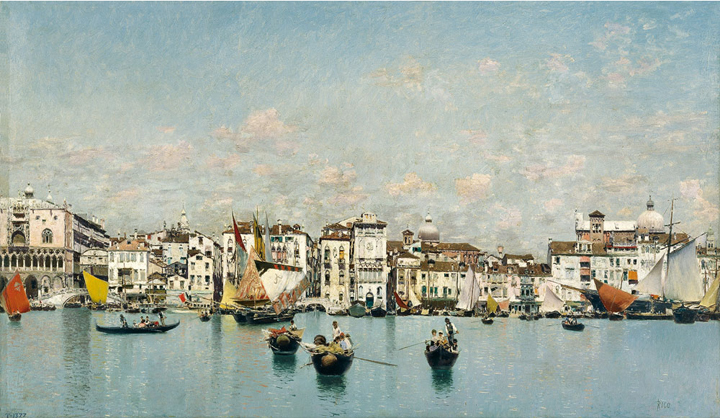 Rico’s most outstanding works are to represent this best known phase of his artistic career. 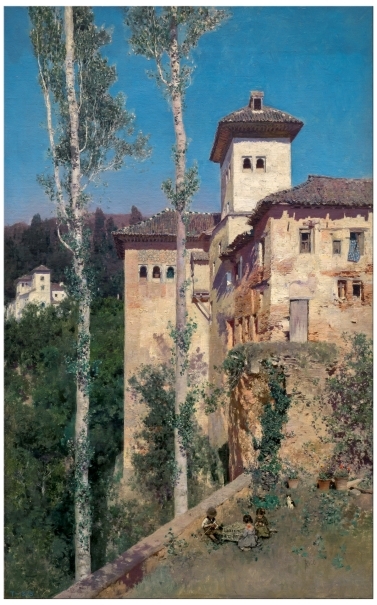 Given the lack of monographic studies on the artist apart from the article of 1908 by Aureliano de Beruete and the biographical text by Du Gué Trapier of 1937, this catalogue is of fundamental importance as it will become the essential reference work for a knowledge of this painter.